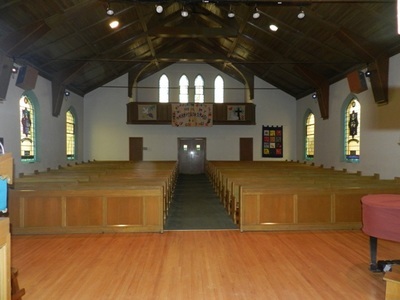 Trinity United Church is located in the heart of accessible, metre-free parking, downtown Huntsville. Our building is wheelchair accessible via ramp and automatic door. Trinity Hall is located on the entrance level with an accessible washroom available on this level. Two other washrooms, church offices and Hearth Room are located 3 steps up and a lift is available. The Sanctuary is 3 steps down and a lift is available. There is wireless high speed internet throughout the building. Trinity Hall is a gymnasium-size, multi-purpose room with tables and chairs for up to 120 people or with chairs only up to 250 can be accommodated. The kitchen is off this hall and is entirely suitable for banquet food preparation or catering needs. The Kitchen features a dish washer, a large refrigerator and ample counter space with a pass-through to Trinity Hall if needed. The electric stove has 2 ovens and 10 burners. Cookware and serving utensils are available, together with a complete set of dishes, glassware, and dining utensils for 120 guests. Health regulations must be observed in food preparation and use of all equipment. 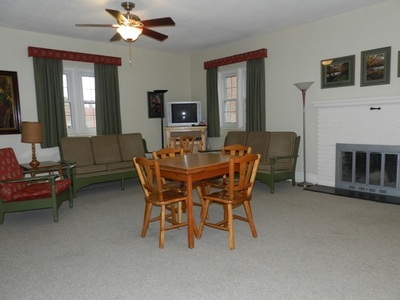 The Hearth Room offers a more intimate setting in a carpeted room with comfortable seats and a small dining table. There is accommodation for 20 - 25 people in a classroom style or circular straight back chair arrangement. The Sanctuary with raised choir loft and balcony, seats 240 people on cushioned pews. Concerts and other ceremonies are enhanced by the intimate atmosphere, fine warm acoustics, stained glass windows, and graceful vault wood ceiling. A Steinway grand piano and two-manual electronic organ may be made available to qualified applicants. A microphone system is available. 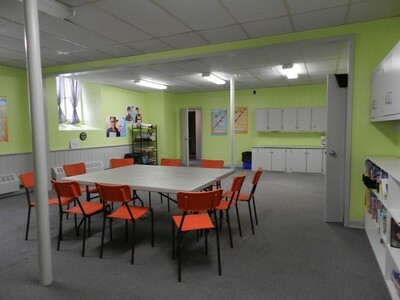 The Lower Basement Level (not wheelchair accessible) offers 3 meeting spaces: The Milligan Room and The Board Room both with natural light, and The Art Room. There are two washrooms on this level. 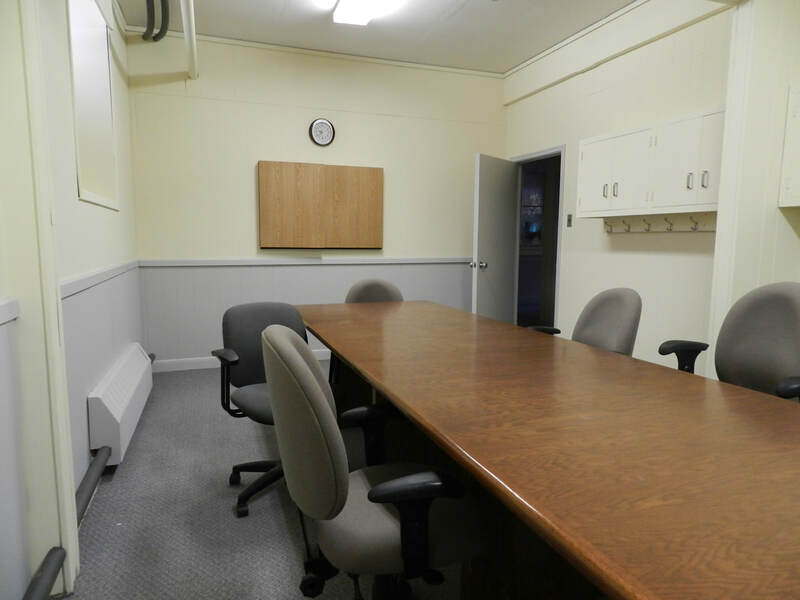 The Milligan Room is a carpeted, 35’ x 20’ meeting space where tables and chairs are available with seating for 30. Activities such as yoga, quilting or a classroom requiring an open area will fit ideally in this room. The Board Room is carpeted and offers a large Board Room table with seating for 14. There is a wall-mounted, dry-erase board available in this room. The Art Room has a tiled floor and is suitable for arts and crafts or as a smaller meeting room accommodating 10 - 15 people. For rental arrangements, availability, costs and additional information, please contact Trinity’s office at 705-789-5660.